Gary must have an amazing 'wardrobe' of ties! 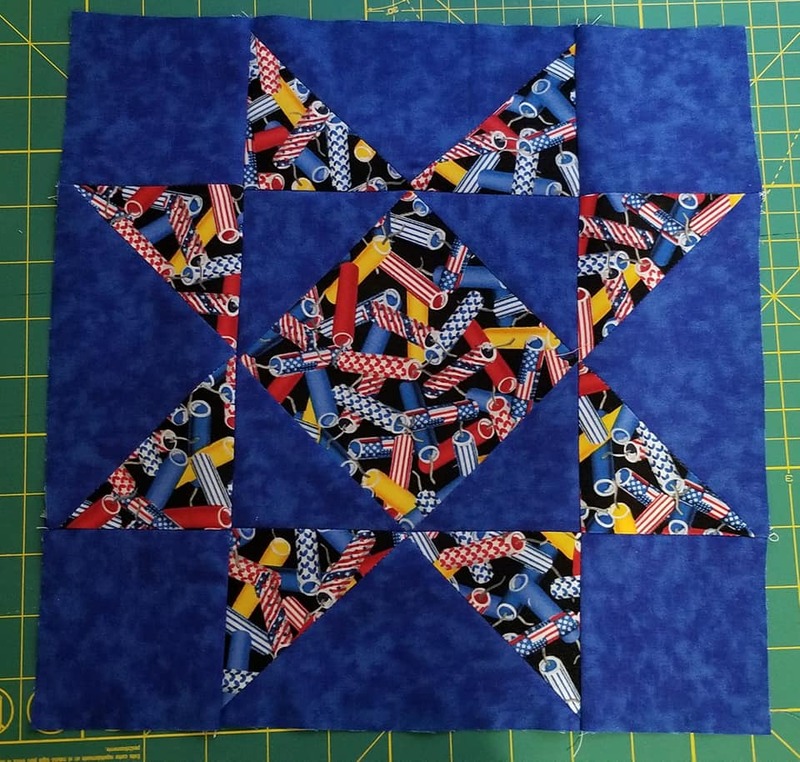 Love your newest blocks, Klaws... the big star for Lstew is knockout gorgeous! Yes he does, everything from bamboo to upholstery fabric, to cotton to vintage who knows what. Thank you for my beautiful block Hav4! Hey, Everybody! I've downloaded Chrome and finally can get back on the board again! 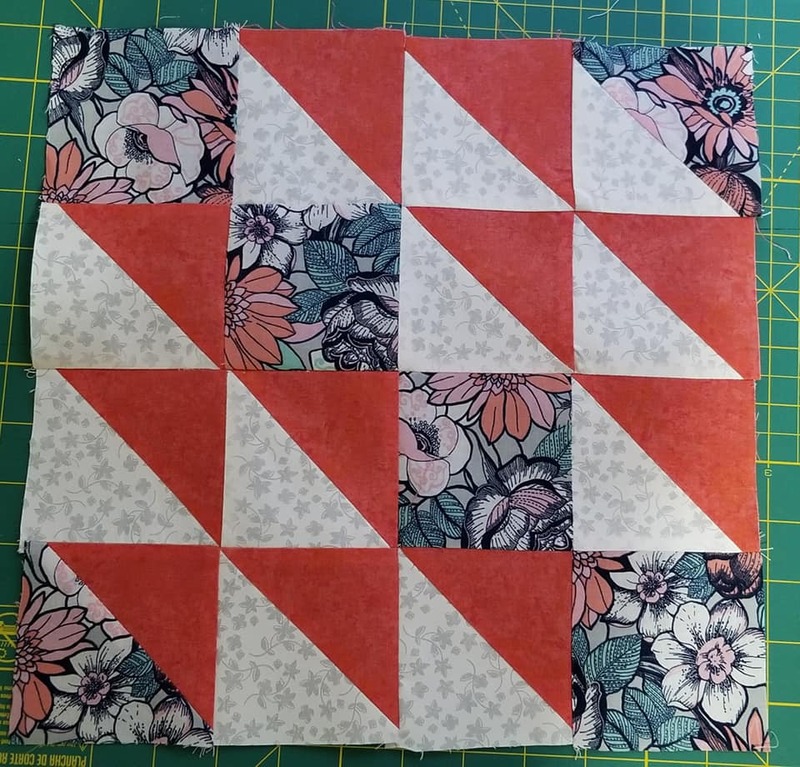 Beautiful blocks being posted. Love the ties, Kass. You can make anything with fabric, can't you? Got my Sooner blocks today too. They look great! Terri, I hope you are on the mend now. Just take it slow and steady. 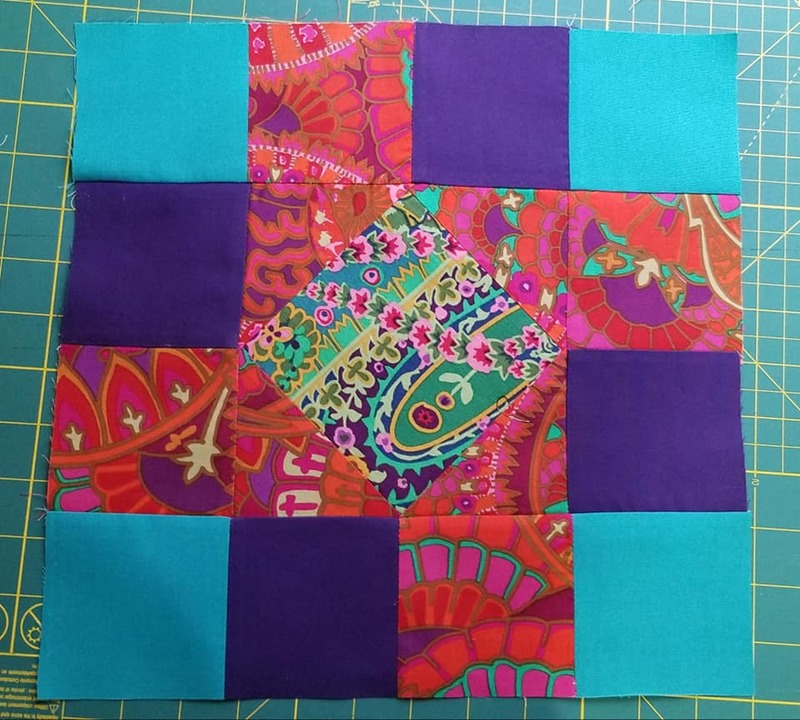 NZQuilter, hope your little one is getting better too. I hate when the little ones are sick and can't tell you what hurts. Libster, way to go! Welcome back! Awesome news Libster, glad you got it fixed. Thank you Bibliostone and Hav4 for the beautiful blocks! It's been so nice to see several more blocks being posted, such wonderful eye candy! Kass the ties you made for Gary are awesome! I can imagine that he has many tie hangers filled with those beauties! Glad to see you back online Libster, you have been missed! Thank you Klaws for my awesome Teddy Bear block. I love how everyone is making the most of the Teds. Great job, Hav! They are all so pretty. I just had to share. 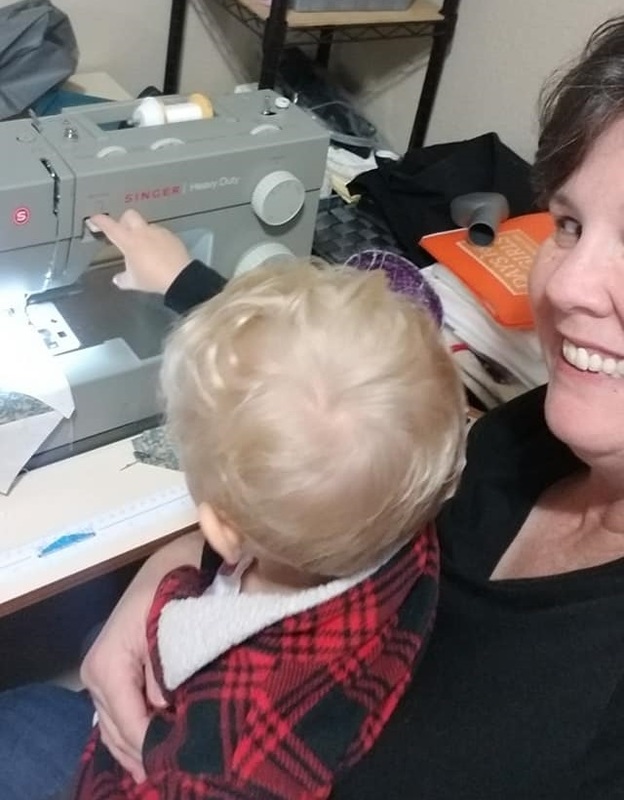 My grandson Hyde that just turned two has a love for sewing with Grammy. He sits with me and waits to hit the reverse for me. 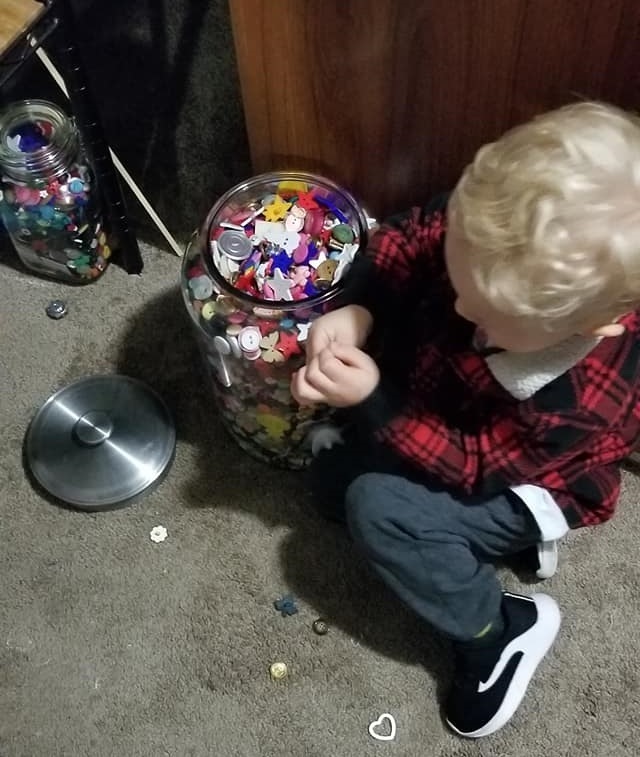 I was so touched that he wanted to sort buttons from my button jar, just like I did with my Granny when I was little. He spent the whole day with me yesterday. Hav4, what a beautiful picture of you and Hyde! 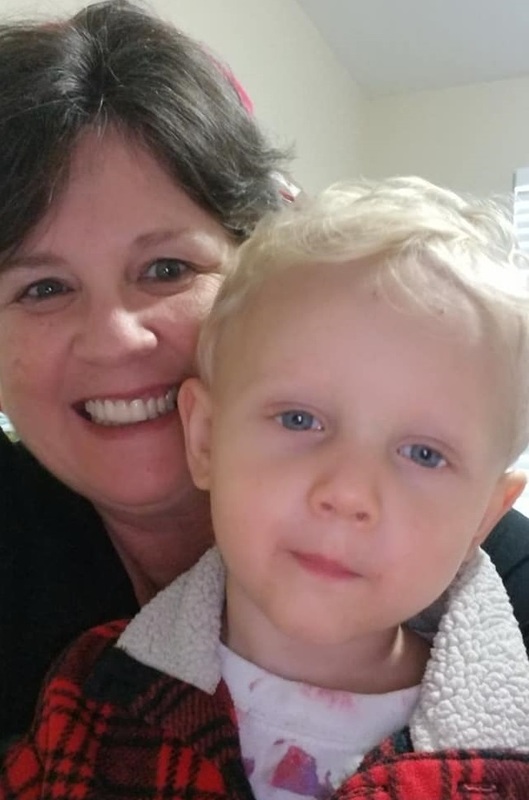 I see he has his grandmother's pretty blue eyes! Hyde is precious. What a beautiful little blue-eyed tow head! Bet he'll be using that machine himself before you know it. My boys used to sew their own beanbags to play with. Its been a while so I thought I'd get caught up and check in. I moved into my new house about a week and a half ago. Going through 28 years of stuff and memories was hard, but I had amazing friends who helped me through it. I love my new little house, its a 1937 cottage style house in the old historic section of town. My other house (dh, or ex-dh is keeping it) was a large 90's ranch on acreage. So I went completely opposite and I love it. I took two of our dogs with me and they are slowly adjusting to being city dogs - they get very upset when I won't let them out the front door to chase rabbits like they have done their entire life. I'm hanging in there too. It is just so hard and still not at all what I want. I just have to believe this is the path I am meant to be on. Thanks for all your support and for many messages from you all. 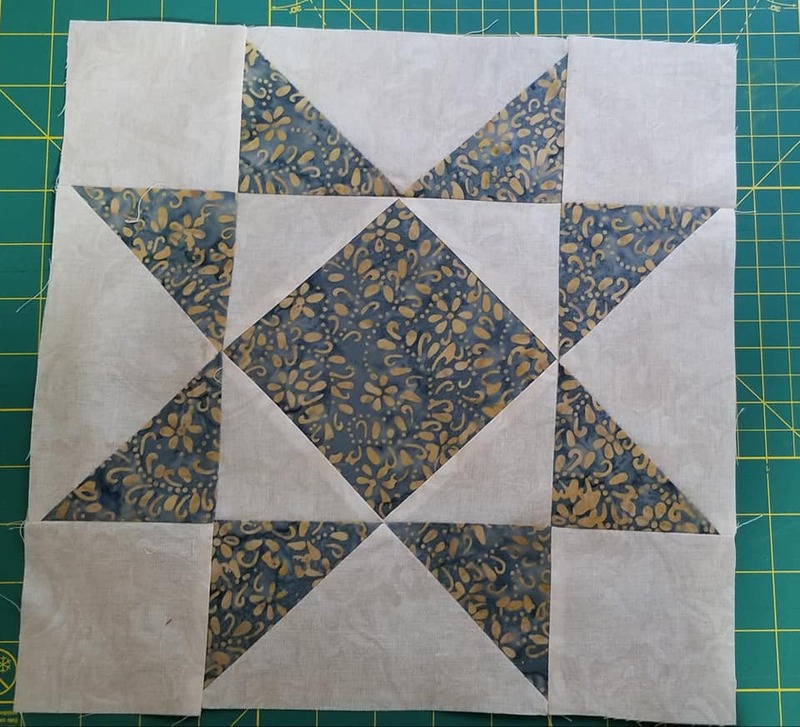 I am sure glad I hurried and finished up my blocks as my sewing room (which will be amazing) is no where close to being set up. Have a great day. And Klaws thank you for the block!!! Hav4boys, he is precious! I love him sitting in your lap as you sew. Precious memories forever. He will never forget these days with you and how special you make him feel. Ain't life good !!?? Enjoy every moment with the littles. Editted to add: I forgot to thank you for my beautiful block. I was too busy looking at that sweet little one's pics. H4B, great way to finish. Hyde is absolutely adorable. Jayne glad you are settling in and hope life gets easier for you soon. Jayne, I'm a firm believer that we are where we're meant to be. God has something else in store for you. We're all here for you when you need a shoulder to lean on. New can be so scary but it all works out in the end for the better. Concentrate on that new sewing room right now. We'd love to see it when it's ready for it's preview. I just posted my Sooner quilt top over in that group, and also snuck in a couple of pics of the grand babies! And they are wonderful too, the babies and the quilt! 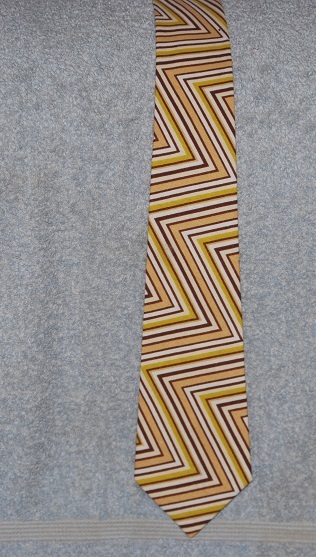 Made another tie for Gary today. This one doesn't have any bling. Love it, Kass. My favorite one yet.